Having settled in at Kersiehuis on Sunday, we began to wonder where to go sightseeing for the next few days. 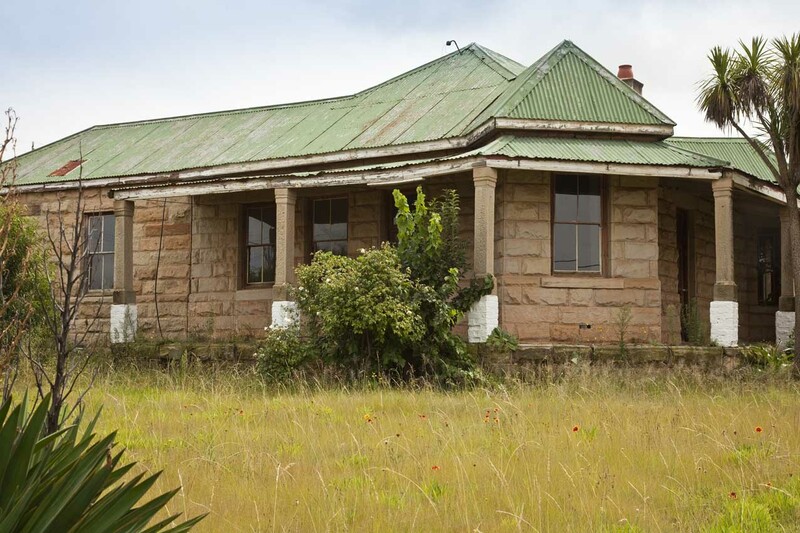 We remembered seeing an interesting old house next to the road opposite Fouriesburg, and decided it was worth retracing our steps for the day. I suppose we all, at one time or another, began a school essay with the famous opening line "It was a dark and stormy night....." Our day went along the lines of "It was a dark and drizzly morning." Apart from Terri getting irritated at me for refusing to answer calls on my phone - I was sort of on holiday, not so? - we had a placid trip back up the road we'd travelled the previous day. We went straight to the old stone building, and saw it was called Jenlee's. There were old rusted car hulks strewn about the yard, and the building was adorned with galvanised and enamel baths and basins, among which a lone cockatiel whistled plaintively. We had the place to ourselves, and what a treat it was. Almost the ultimate trip back in time. Around the front of the house stood this 1930's Mercury, a reminder of the days when motor cars were built like tanks without gun turrets. 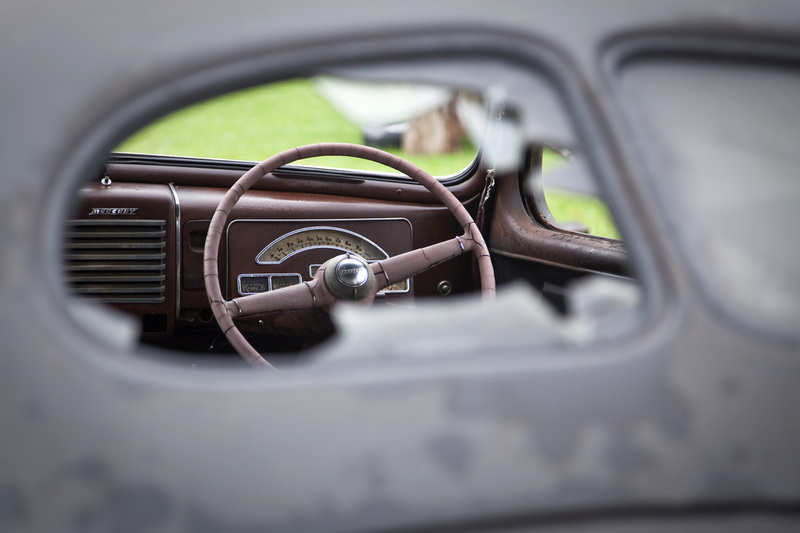 For those of us old enough to recall, the steering wheel and dashboard spoke of the luxury of the former royalty of the roads. 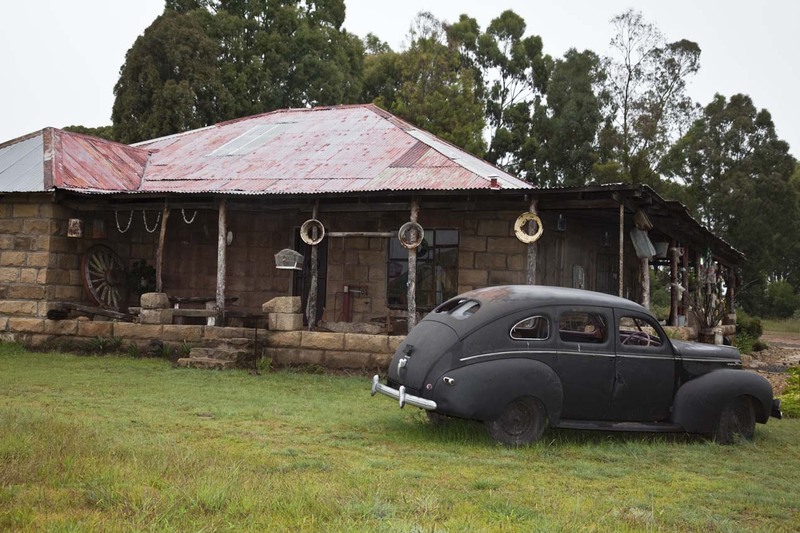 Having stepped over the authentic delivery bicycle on the verandah, we found the house chock-a-block with items Terri and I had grown up with. 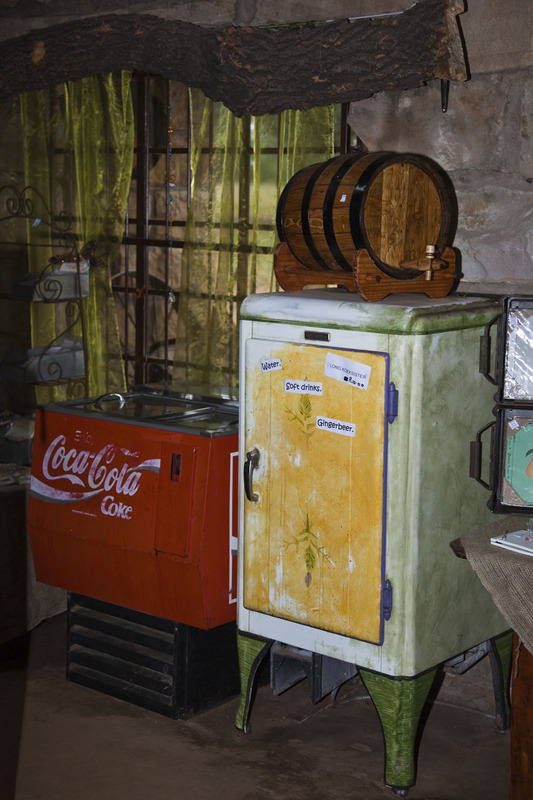 There were kitchen utensils, cans, tins, mugs, bottles, crockery and cutlery that still belonged in the 1950's, cheek by jowl with an ancient fridge on legs next to a coke fridge that must have ended its period of service fifty years ago. Memories came flooding back even though we'd never been there before. These items had filled the homes of our peers in every corner of the country. 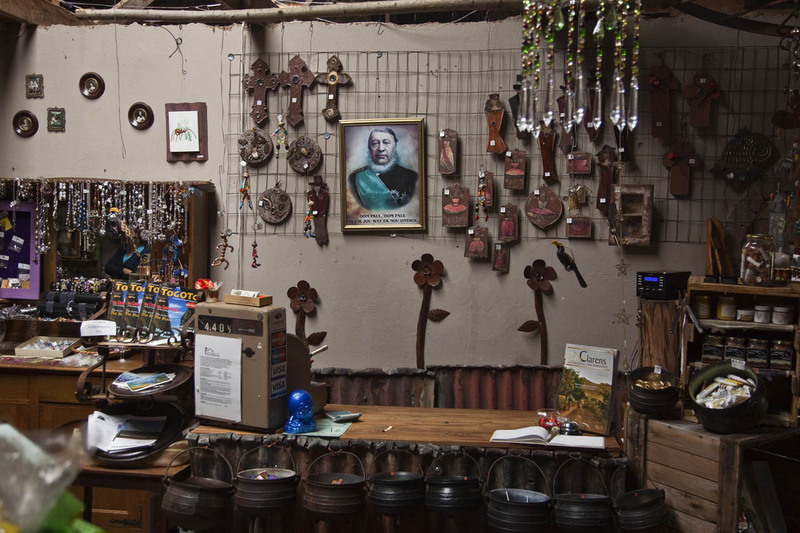 I couldn't help including a shot of a portrait of Paul Kruger, legendary Boer War President of the Transvaal Republic (Zuid Afrikaansche Republiek,) There he was, figuratively rubbing shoulders with mementos and artwork of people who revered his memory, and of those who despised all he'd stood for. Time is an interesting healer. 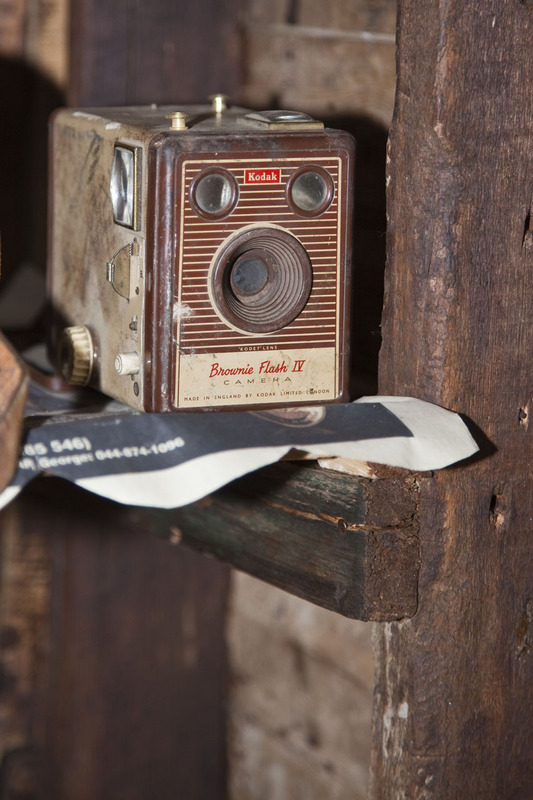 Not content with my bag of photography tricks, I bought myself a camera that had been hi-tech many decades ago. 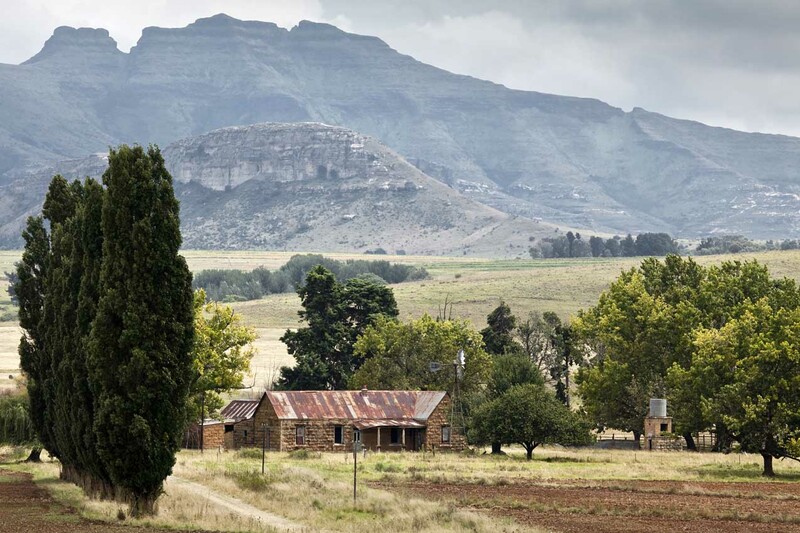 It's a sleepy-looking town tucked into the sloping grasslands near the sandstone buttresses of the Malutis. There's plenty of activity in the business area, but we were left wondering why people lived here and how so small a centre could provide a living for what seemed a sizeable community, specially taking into account the very substantial and orderly-looking township across the road. It's essentially a farming centre, but the art world has begun to make inroads. 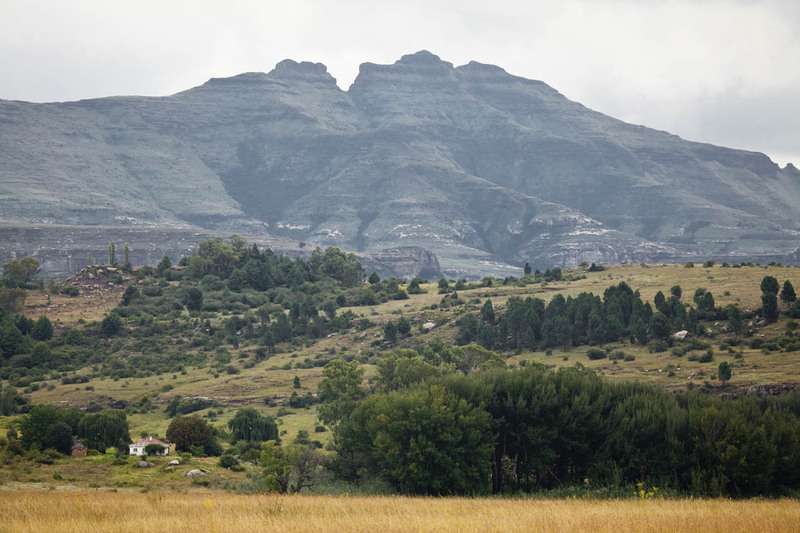 After all, Clarens is just a half-hour up the road. 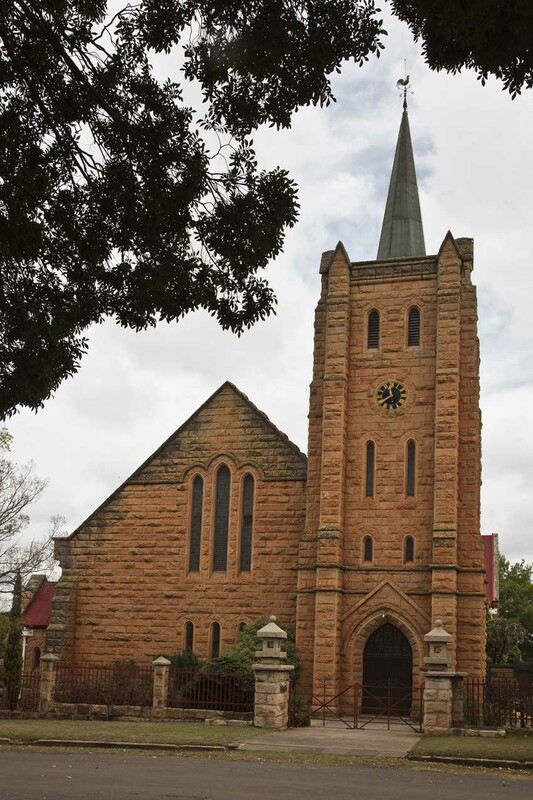 As in just about all the rural settlements in any part of our country, the town was dominated by a church, in this case a magnificent sandstone structure serving the Dutch Reformed Church community. 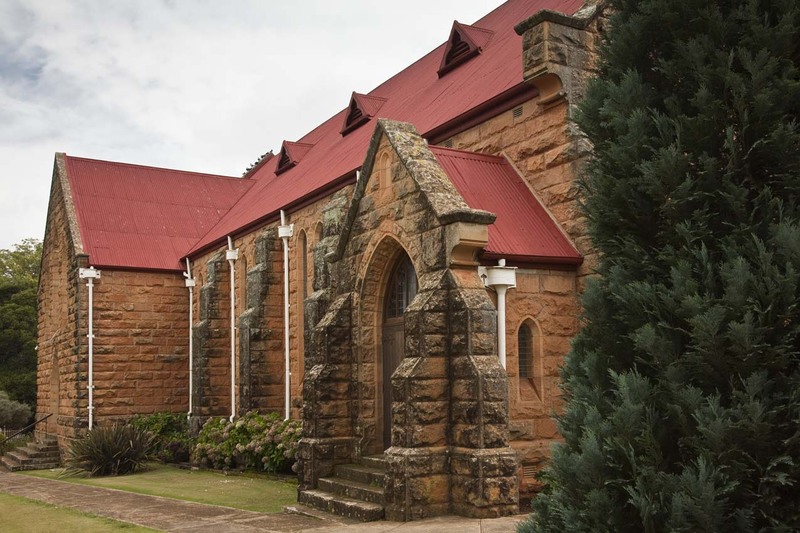 The grounds were beautifully kept and tended, and the buildings were in prime condition, just as had been the churches in Ficksburg. There were several interesting galleries and shops in the town, but most were closed on Mondays. I couldn't see what the asking price was, but this lovely sandstone cottage was on the market. What amazing potential. This kind of stonework is impossible to reproduce nowadays, and fully belongs in its historic setting. How tempting, though, to imagine it in other, more mainstream surroundings, restored to what must have been a former glory. At the end of the main street we found a sign directing us to Meiringskloof. We'd not heard of it, so decided to explore. 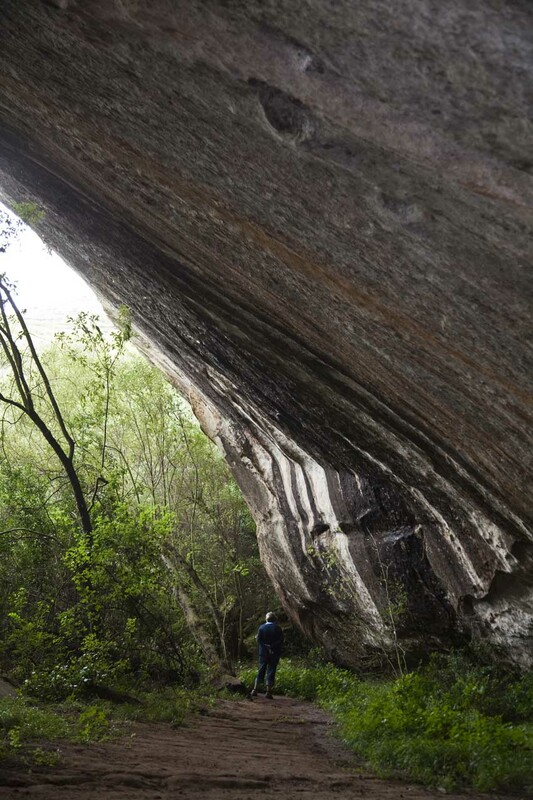 A drive of about 3km along muddy and puddled roads brought us to a hutted camp and recreation centre hiding in a deep kloof, or gorge, coated with trees and lush undergrowth. We paid the nominal day-visitors fee and went off on a walk we thought would be short as the paths were soaked and slippery. We soon changed our minds and dared the paths into the hills, not knowing what to expect. 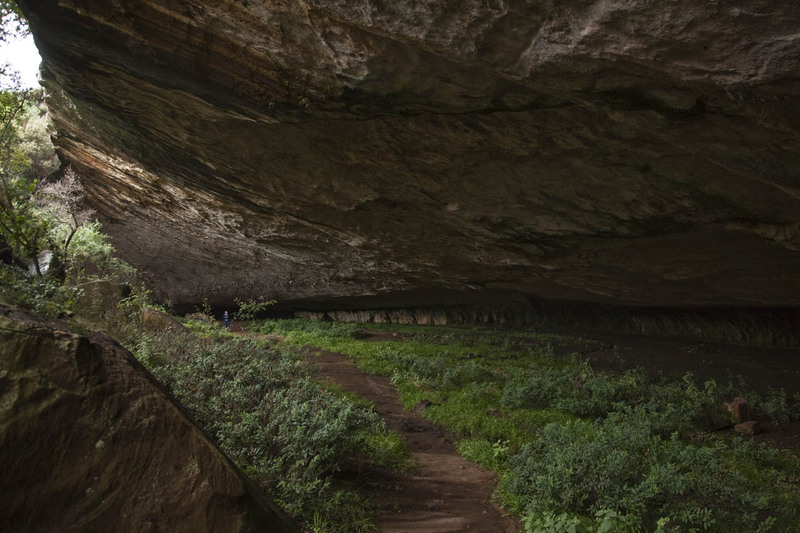 What we found were the largest sandstone overhangs (sometimes, wrongly, called caves) in South Africa. 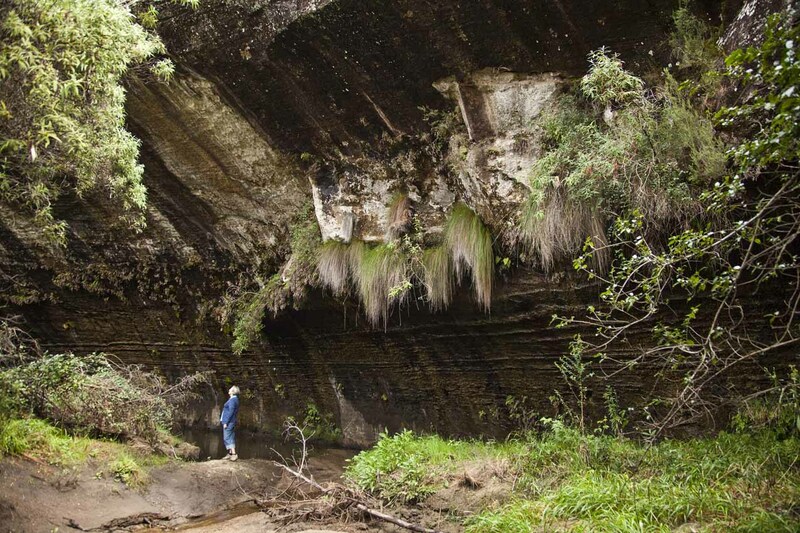 We'd often visited the Drakensberg, or Ukhahlamba World Heritage area in KZN, but were stunned at the size of these caves. To give it some sort of scale, I had to persuade Terri to be my model. She's the little blue speck in the distance. I was staggered. By the way, she really relished being referred to as a "LITTLE" blue speck. Made her day. We decided we wouldn't want to be in there in a heavy storm, though - they all form part of water courses. What a privilege to see this grandeur without looking for it. We were starting to get used to surprises. We left Meiringskloof and Fouriesburg to take a slow stop-start drive back to Ficksburg, the camera being aimed at anything likely to look like a picture. All along the light was awful for landscape photography, but I took plenty of shots anyway, thinking that Lightroom and Photoshop would stand in the gap for me. That turned out to be only partly true. 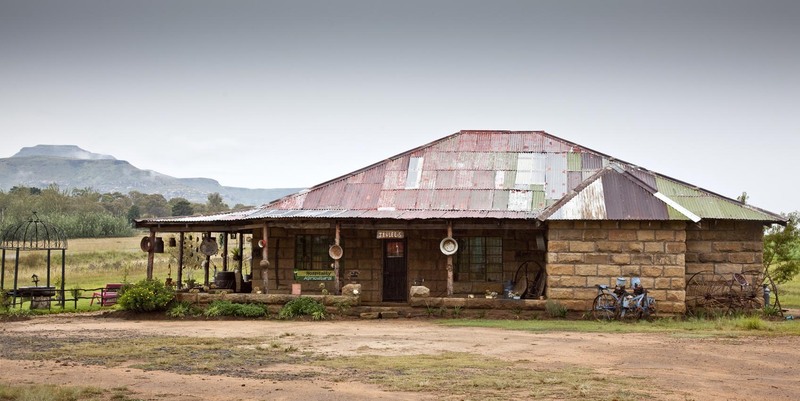 We found lovely farmsteads tucked into the folds of the sandstone hills, some of them seemingly deserted and tumbledown. What with the good summer rains, I had a real problem with the height of the grass, often having to set up the camera on a tripod and then do a back-and-forth routine to kink and bend over grass stems that were in the way. I think there must have been several motorists who slowed down abruptly as I emerged from the undergrowth, thinking I was a traffic cop out to nail them. One of the constant problems we have in all our rural areas is the proliferation of power lines. I had always to decide whether to try to exclude them or use them as part of the scene. The countryside is truly dramatic, changing with every turn in the road. 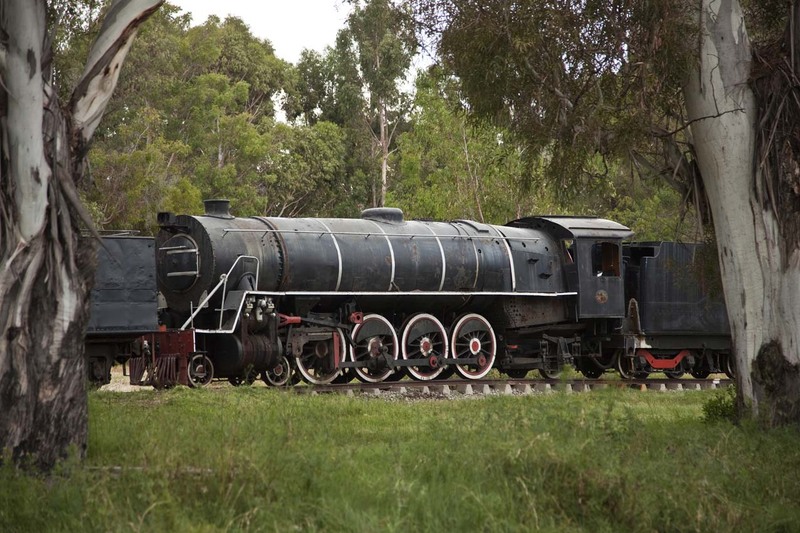 As we drove along, my practised eye spotted a steam loco among the trees off to one side of the road. 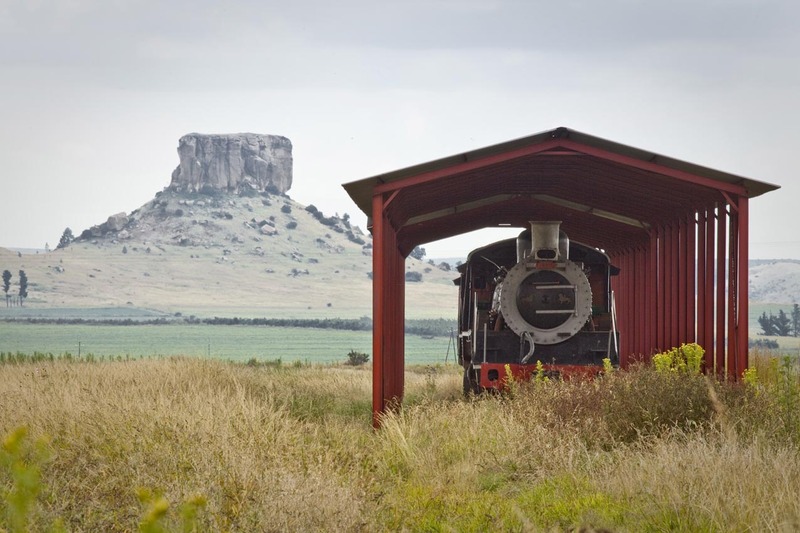 We stopped, hauled out the binoculars, and yes, there it was, a steam locomotive, in the least likely of settings. 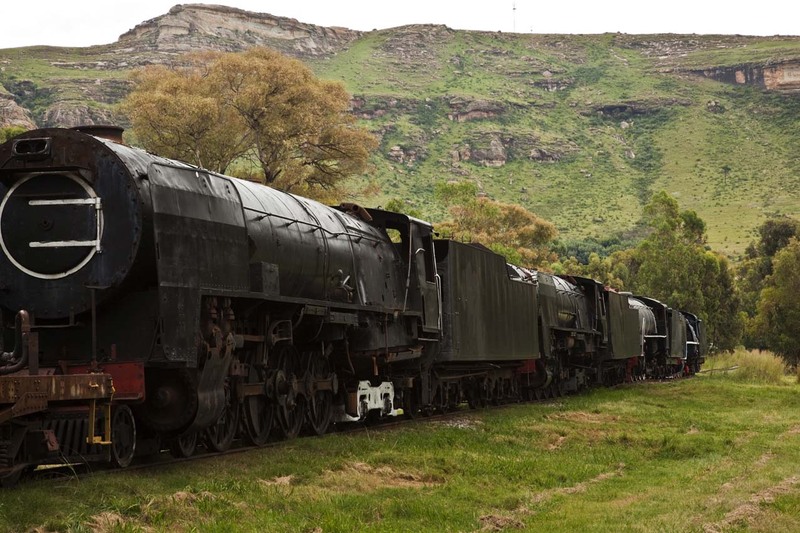 We found a rough track off the main road, and eventually ended up at an unused siding called Kommando Nek, obviously a reference to the South African (Boer) War some 110 years ago. Parked on rusting tracks was a collection of broken-down steam locos and some very dilapidated rolling stock. I remembered having read about a local estate that runs steam train excursions during the Cherry Festival time, and saw that these units were destined for that property for restoration. It was like patrolling a ghost town. There were some rough dwellings nearby and a church that seemed not to have seen a parishioner for many years. Somewhere nearby a dog barked incessantly, but otherwise the place was deserted. We could almost feel them waiting for the call to the restoration workshops. Soon after leaving this eerie spot and getting back onto the main road, we found the Sandstone Estate, the ultimate destination of the derelict locos. 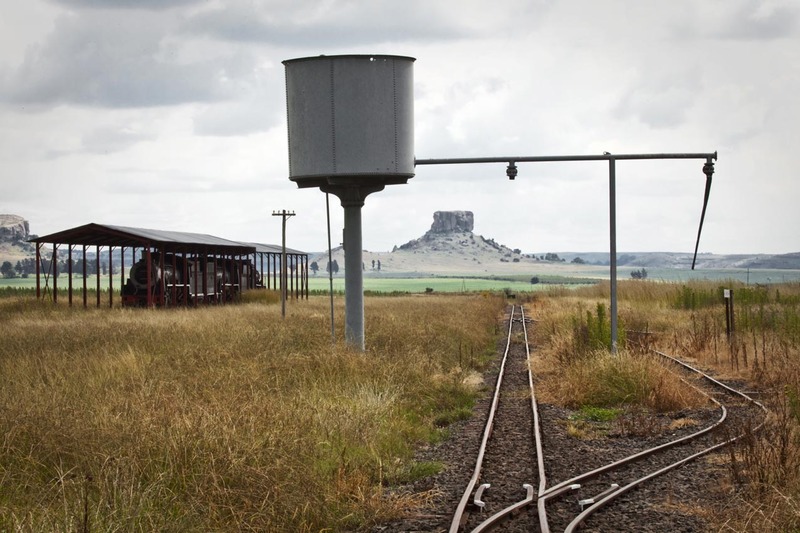 It was a strange sight we found, a steel shed amid long grass, containing more steam locos. Unable to resist the temptation, we trespassed and found some works-in-progress in the shed, all this in the middle of nowhere. With the iconic Soutkop (Salt Head hill) in the background, this also felt pretty unreal. Truly, there's always something new out of Africa. We could never have imagined scenes like these. and the country and farm road lent plenty of atmosphere and character to the scenes. What an interesting day we'd had. 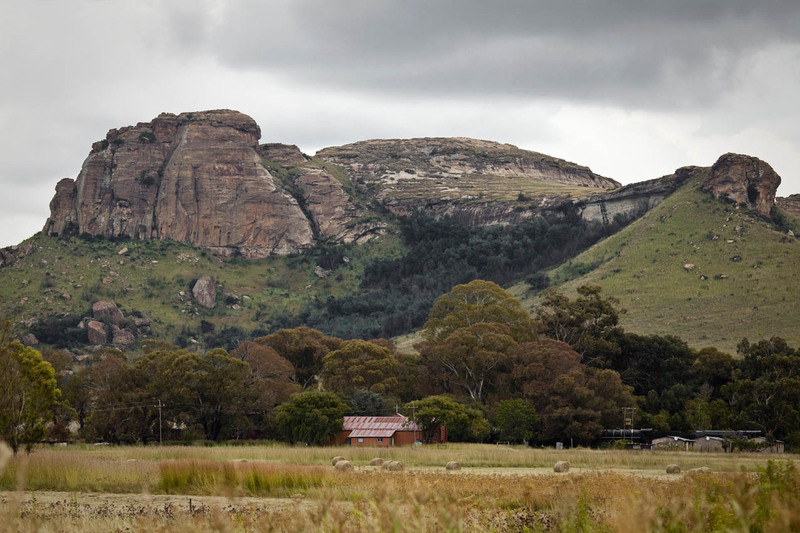 We'd not decided on the next day's trip, but were thinking about having a look at Senekal, just to see if it offered anything different. We never got to Senekal, but had a truly rewarding day. I'll tell you about it next time. Thanks for staying with us. The story behind the pictures - Just what I have been waiting for! I have seen a number of the pictures before, you kindly having sent them to me some time ago but I said to Angus at the time that I would love an explanation of exactly what I was looking at. And here it is, and just as good as ever. Can't wait for the next blog. Just one thought ... what about including a map, marking your stops, somewhere on the website/blog so that we can all see exactly where you are. 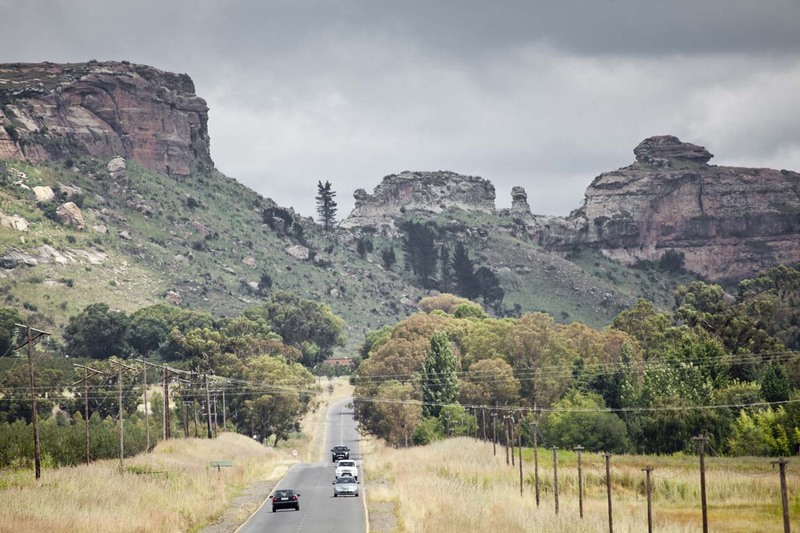 We were fortunate to spend a little time in Ficksburg so know where to find it but perhaps your next trip will leave us in very unknown territory. 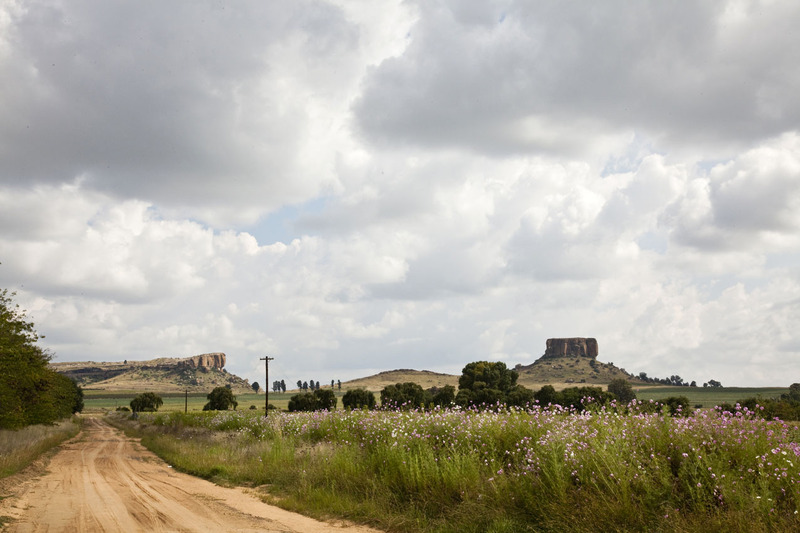 Love the Eastern Free State - Is it not fantastic to just taske a trip with no planned destination and take detour on unknown tyracks etc. So many lovely surprises await. For example, instead of searching for beginning quests for Chosen you can instead search for quests and see what links become available to you. celebrated as a day of romance in which people give cards and gifts of flowers. Well one reason is that it usually takes hours of daily practise and about thirty years to get it right. Pretty section of content. I just stumbled upon your website and in accession capital to assert that I acquire in fact enjoyed account your blog posts. Any way I'll be subscribing to your feeds and even I achievement you access consistently quickly. Everyone loves it when people meet up and share views. Great blog, make it up! Ahaa, its good discussion concerning this post here at this particular site, I have got read all of that, so at the moment me also commenting at this place. You could certainly view your expertise within the work you write. The sector hopes for more passionate writers such as you who aren't afraid to express the way that they believe. At all times go after your heart. I'm truly experiencing and enjoying the design and layout of the blog. It's a really easy on the eyes rendering it a lot more enjoyable for me personally to come here and visit more regularly. Have you hire out a designer to make your theme? Superb work! What's up, every time i used to check weblog posts here early in the dawn, for the reason that i enjoy to gain knowledge of more and more. Howdy do you mind sharing which blog platform you're working together with? I'm going to begin my blog soon but I'm using a difficult time deciding between BlogEngine/Wordpress/B2evolution and Drupal. The main reason I ask is mainly because your layout seems different then most blogs and I'm looking for something completely unique. P.S Sorry for being off-topic nevertheless i had to ask! You actually ensure it is appear quite simple with your presentation but I in discovering this topic being actually something which I feel I might by no means understand. It seems like too complicated and very wide for me. I am looking forward in your next post, I'll try and obtain the cling from it! When some one searches for his required thing, thus he/she wishes being available that in more detail, therefore that thing is maintained over here. Nice respond in exchange with this matter with firm arguments and telling all regarding that.